Heritage’s Americana Signature Auction contains over 700 American history and political artifacts, among them a rare political pinback from the 1908 Taft & Sherman political campaign. 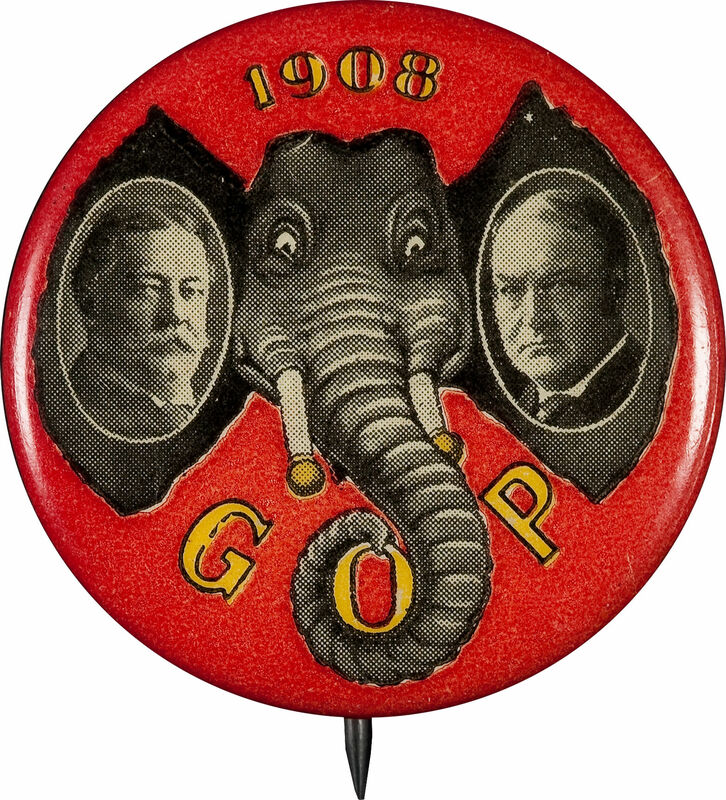 Called a jugate for the two side-by-side portraits of William Howard Taft and his running mate James Sherman, and called “Elephant Ears” for the portrait placement, this 1 and 1/4 inch in diameter celluloid pinback packs a visual-punch with its bright red and vivid yellow graphics. The Taft & Sherman “Elephant Ears” Jugate, is among the most valuable of all the 1908 Taft-Sherman pins — not only due to age but a low production run. With it’s original Whitehead and Hoag back paper, this jugate has an auction estimate of $6,000 – $7,000. The Americana Signature Auction will be held on May 12, 2012, in Dallas; absentee bidding ends May 11, 2012 at 10:00 PM CT.